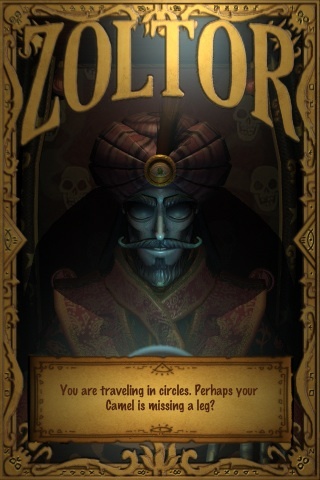 Fortune Teller and Mystic, wise Vizier to the court of King Shahryar... Zoltor has been dead for over 700 years! His ghost wanders freely through the mists of time and fate, seeing all and divining more. Will you summon forth his wandering spirit to impart great and wise counsel? Will you tear him through the divide of this world and the next? 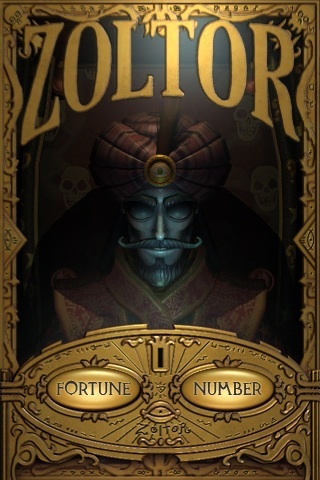 Will you dare to awaken the fearsome, all knowing spirit that is Zoltor!! Zoltor divines your Lucky Numbers! 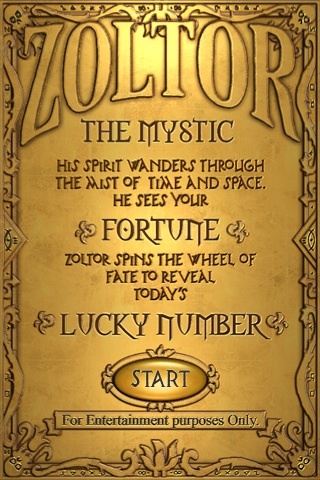 Choose to have your fortune read or to find out your lucky numbers, Zoltor will reveal all in amazing 3D. 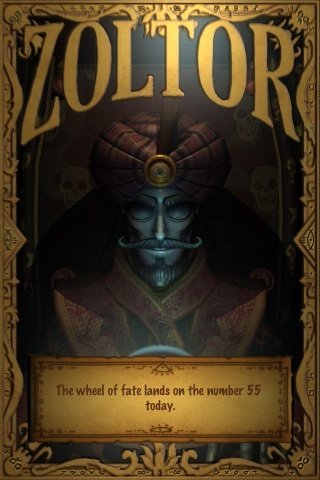 Based on the old fairground automata, Zoltor comes to life to speak great wisdom. Hundreds of insightful, sometimes humorous and occasionally downright bizarre fortunes in Zoltor's inimitable style! Play as often as you like and amuse and amaze friends and colleagues! 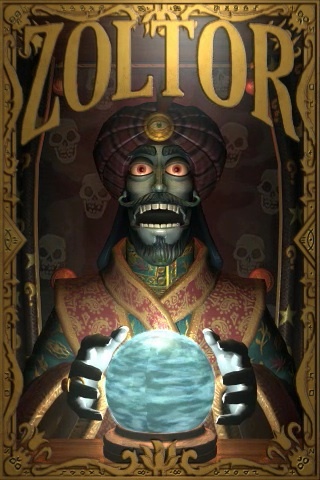 Will Zoltor see your future today?